Friday 13th maybe an unlucky day for some, but it is a lucky one for you as I’m taking you to the mountains. 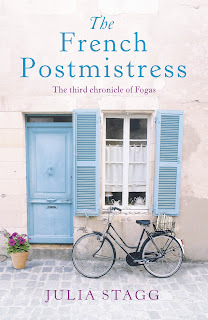 Yesterday saw the paperback release of The French Postmistress by Julia Stagg, the third book in her series set in the fictional village of Fogas in the French Pyrenees. I am a teeny, tiny bit of a HUGE Julia Stagg fan, so was very excited to get my hands on a copy of this book and return to the mountain village I feel I know so well. Julia lived in the Pyrenees region that she writes about for many years and you can feel her obvious love for the area in her writing. 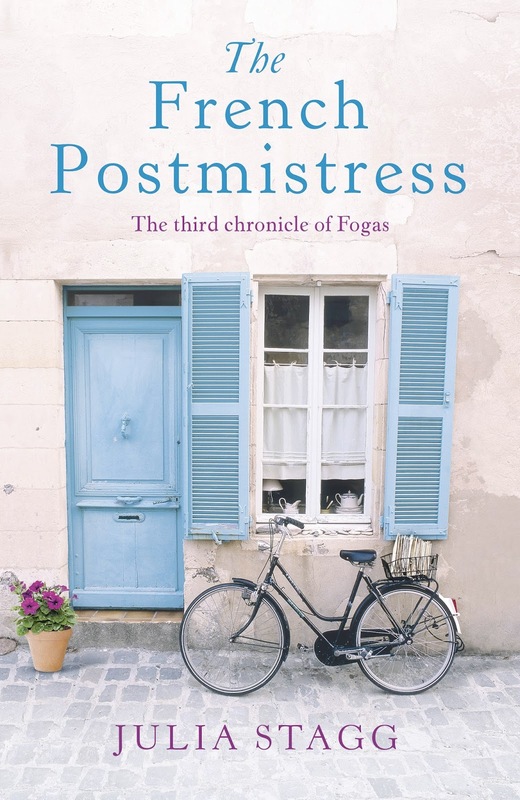 In The French Postmistress the focus shifts to Véronique, the postmistress, and her frustration at the speed the reopening of the village post office is moving at. She is full of ideas to keep the service at the heart of the community, but is anyone there to listen and support her? Fogas is, as usual, a busy little place and with the controversial government plans to reintroduce bears to the mountains things in the community get even more heated and divided than normal. All the characters we have met in the two previous books are back, plus a few new ones to throw some spice and spanners into village life. The Mayor, Serge, is still grieving for his wife and seems to have lost interest in village politics, but maybe there is someone who can put the fire back in his belly. There is also a special guest appearance by The Tour de France that provides the villagers with a welcome distraction. It was so good to be back in Fogas, the twists and turns of the mountain roads felt familiar, Julia’s scenery descriptions bring the pages to life and her little village community has truly captured me. Her writing is such that at many times this summer something I’ve seen or somewhere I’ve been has triggered my brain into transporting me to Fogas and wondering (as you do with friends you meet on holiday) what everyone is getting up to at the moment. I can’t wait for book number four that rumour has will be out sometime next year. If you like books set in rural France you will love following the life of the villagers in Fogas. You can read my review of Julia's first two books L’Auberge, here and The Parisian’s Return, here and see my interview with her here. You can also find her website here or follow her on Facebook, and Twitter. Julia's books are published by Hodder and Stoughton and available in ebook and paperback format. Links to Amazon.co.uk below.